Jose Mourinho made a statement last night featured in The Sun about his future and has admitted that he has decided to come back to England and to the Premier League. I think it's safe to say that since he has left Chelsea he hasn't exactly got on with everyone in Italy and in Spain. He has had the success we all know he has had and fair play to him. Reading this you can have no argument whatsoever with what the he has achieved and I am sure like me back in May, you watched his Inter side lift the Champions League with envy. Jose's time in Italy as far as the results go was fantastic but he failed to build the same relationship with the Press he had in England. He fell out with more or less everyone outside of his "circle" at Inter. Did he care?, of course not. He brought the trophies to Milan. Despite what the outsiders thought of the man they couldn't argue with results on the pitch. However, Jose knew he wanted out and took his chance back in the summer. This season at Real if you look at his record and he is getting result's on the pitch once more. Real have won all ten home games this season, six away games and have drawn three. 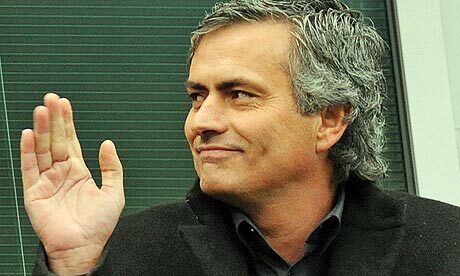 Jose has only lost one league game and that was to the enemy, Barcelona. Real didn't just lose the game, they were hammered in one of the most complete footballing displays I think I have ever witnessed as Barcelona thrashed Madrid 5-0 in the Nou Camp. 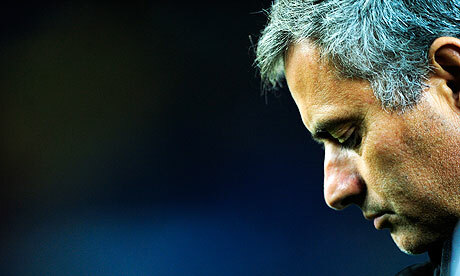 Jose looked a beaten man and admitted himself afterwards that his old side were "Fantastic!". In recent weeks we have heard reports of Jose and Madrid President Jorge Valdano's relationship becoming strained more and more as each week passes. In any other league Madrid would be sitting pretty, but Barcelona sit above them, four points clear and having dropped only five points so far this season. There are reports that Jose and Valdano have fallen out over signings and potential transfers, there were even rumours that Jose wanted Didier to join him in Madrid!. Whether or not that happens at some stage is yet to be seen but for now it looks like he has settled for Adebayor on loan until the end of the season. "I've decided to return to England. I have nothing prepared about my future - I just want to be happy in my work. I have no preferences about Manchester United, Manchester City or Chelsea. I just want to rediscover the joy. I'm not saying the Premier League is the most spectacular in the world but it is the best organised... the fair play and the enormous respect for your opponent." Jose has always spoken of with fondness of our game and of England ever since he was forced to leave. He has always stated he will return one day. Whether or not we take these latest comments with a pinch of salt is another thing however. You can bet your life his statement/message or whatever you want to call it will be heard and noted by the likes of the owners at Manchester City, United, Liverpool and even dare I say it, Chelsea. With additional rumours of an American takeover at Roma and Ancelotti being asked to go back there to manage the club, I just wonder. Roberto Mancini will know he must finish well in the Premier League with the money he has spent. Kenny Dalglish, although seeming to do a great job in changing the fortunes of Liverpool and with Steve Clarke (Jose's right hand man at the Bridge) already there, Anfield could become an option. Whatever happens and I know some people will agree with me, some won't but that's part and parcel about having an opinion, I believe our game has missed Mourinho. 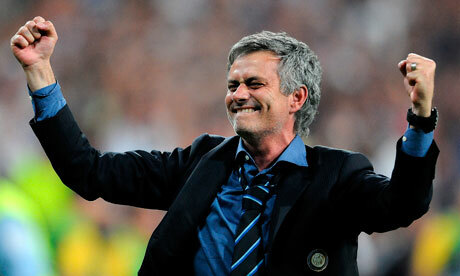 I have missed Mourinho and will always have a place in my heart for what he achieved at the Bridge. I will never ever forget the feeling knowing we were champions for the first time in 50 years so think of him what you like. He will remain special to me. Between now and the start of pre-season in July, I just wonder if we will really see him back in the Premier League and where his destination will be. In my heart (and ONLY if Carlo leaves) I want him back here but I believe his future could be at Anfield. Hodgson sacked, Dalglish asked to come in and steady the ship as Stevie Clarke is brought in as stage one by the American owners. They will want the best and will be aware of Mourinho so stage two is to bring him through the door. If it happens so be it. Even though I have said what I have about the man if he did take over at Liverpool, for three hours a season I will hate his guts!!. For now the future remains to be seen but I still believe the Premier League is a better place with Mourinho in it!. (Now I don't normally post video's of other club's on here but this is a fantastic one of El Classico, one of the most stunning performances I have ever seen).